Ata Mohammad Sharaka is only 13 years old, last week he was shot in the back, by a live round fired by Israeli soldiers at him near the Al-Jalazoun refugee camp, north of the central West Bank city of Ramallah. He was then moved to the Hadassah Israeli hospital in Jerusalem, suffering serious injuries, after the bullets hit his spine causing paralysis. The next day, Ata went to get his school bag, the situation in the refugee camp was calm, no clashes or confrontations, and then he bought Coke and sat in front of the shop to drink it. He suddenly then fell onto the ground, and could not get up, he did not know what hit him, and shouted at some children playing nearby who rushed to help him, but they did not know what is wrong, and asked a young man to help. The young man carried Ata, who was bleeding from his back, and took him to the Palestine Medical Center in Ramallah. “I returned to the camp back from work, and some children told me that Ata was shot by the army, at first, I did not believe them because the situation was calm, and no clashes have taken place with the Israeli army”, the mother said, “I then called his father who has a store in Jifna nearby village, he said he did not see Ata today, I then just rushed to the hospital and the doctors told me that my son was shot, and is under surgery”. The doctors said that Ata was shot in the back, the bullet hit his spine, shattering it, and penetrated his lung. “They told me that my son will not be able to walk, at least for now, I was crying and screaming”, the mother said. The mother, with a low fragile tired voice and tears flooding her cheeks, tired restless eyes and body, continued, “Ata wakes up from time to time, he keeps telling me about what happened, then he always repeats the same question ‘Mom what happened to my legs, why can’t I move them’, the doctors try to keep him sedated for now due to intense pain he suffers”. She said that the doctors told her that he is now is a stable condition, his life is not in danger anymore, “but his condition is not improving, yet it is not worsening”, the mother added. “What did my son do to them to be shot like this, he did not even participate in protests, his only fault is that he went to retrieve his bag”, she continued, “Is he guilty because he wanted to get ready for his final exams of his seventh grade, is this a crime, is humanity gone, where are human rights groups”. 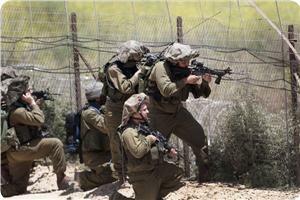 The soldiers claim that they shot him during clashes, and that he was trying to climb a settlement wall. “But my son was shot while sitting in front of the shop, trying to drink his coke, in an area that is far away from the settlement and its walls…”, the mother said. The child will be hospitalized for nearly two more weeks, before he is moved to a rehabilitation center, his only “fault” is that he went to school, and went back to retrieve his bag that was taken away by the soldiers, soldiers of an illegitimate occupation, soldiers who run and maintain one of the most cruel and brutal forms of apartheid. Israel will start on Sunday its annual national home front drill, which will simulate a full-scale war and will last for five consecutive days. These Israeli annual military maneuvers, known as "Turning Point", are to be conducted for the seventh consecutive year. The first drill took place in 2007 after the 2006 war on Lebanon. The maneuver aims to check the readiness of local authorities for "all-out war" that includes exposure to rocket attack from several fronts. It is also supposed to address the threat from nonconventional weapons, specifically chemical weapons. Two sirens will be sounded on Monday, May 27. The first, during the day, would enable schools to practice taking shelter, while the second would sound in the evening, for citizens in their homes. The maneuvers will focus on checking the readiness to respond to possible missile threats especially in Tel Aviv, which had been exposed to rocket attacks during the war on the Gaza Strip. The drill was supposed to start three weeks ago; however it was postponed because of tension between Israeli and Syrian forces. The training coincides with remarks made by Israeli senior officials saying that Israel is preparing for a war, and that it will not allow the transfer of weapons from Syria to the Lebanese Hezbollah organization. The Israeli Occupation Forces (IOF) raided on Friday night and Saturday morning several villages in Jenin in northern West Bank. 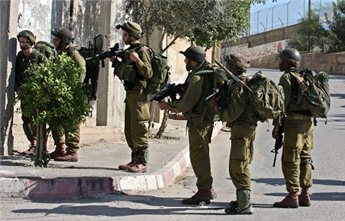 IOF soldiers violently stormed and searched on Saturday morning a warehouse in Anin village in Jenin where they questioned its owner for more than two hours, local sources reported. Israeli forces have also stormed Yabad village, southern Jenin, and stationed in the road between Yabad and Amrih villages where they fired flare bombs. Occupation troops broke into Kvert and Dohr Abd villages and set up a military checkpoint on their entrances. IOF stormed and conducted combing operations on Friday night in agricultural lands in Jalama area looking for water wells. 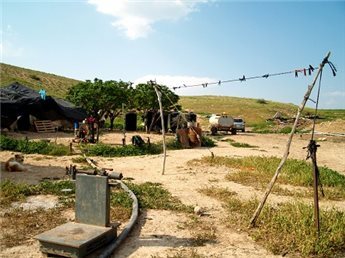 Eyewitnesses confirmed that the soldiers questioned the lands' owners concerning the area wells. Furthermore, the Israeli soldiers set up a check point in the mentioned area and checked the citizens' identities. On the other hand, Jalama Military Court extended the arrest of Mohammed Ahmad Zakarneh, 34, from Qabatiya for an additional week pending further investigation. Local sources affirmed that the Israeli court extended Zakarneh's detention under the pretext of the alleged security file. Violent clashes broke out on Friday afternoon between Palestinian young men and Israeli troops in different areas of Al-Khalil city. Israeli occupation forces (IOF) were deployed near Khursa village and started to fire tear gas grenades and rubber bullets at the young men who gathered in a nearby area of Al-Tabaka village, according to eyewitnesses. Several injuries among the young men were reported during the events. 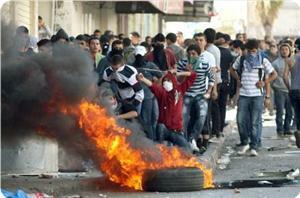 Other clashes took place at the entrance of Beit Ummar village to the north of Al-Khalil. The confrontations started when the IOF provokingly searched some passersby and clashed with them, prompting some young men to hurl stones at the troops and settlers' cars. 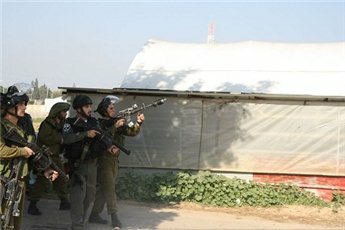 In another incident, eyewitnesses told the Palestinian information center (PIC) that the residents of Al-Aroub refugee camp north of Al-Khalil fended off an Israeli raid on the camp. They added that the invading troops were deployed near the entrance of the camp and over nearby mountains and launched tear gas attacks on the residents causing many of them to suffer from breathing problems. 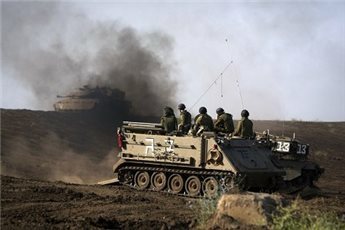 Israeli occupation forces (IOF) raided areas to the east of Khan Younis, south of the Gaza Strip, on Friday for the third time in less than 24 hours. The PIC reporter said that IOF soldiers in six armored vehicles including bulldozers advanced 200 meters east of Qarara town to the northeast of Khan Younis and leveled land amidst random shooting at agricultural areas. IOF soldiers had advanced into the same area on Thursday morning then returned in the evening and were confronted by resistance elements. In another incident, IOF artillery fired a number of shells at agricultural land to the northwest of Beit Lahia in northern Gaza Strip, local sources told the PIC reporter, adding that no casualties were suffered. Israeli violations of the calm agreement with resistance factions in Gaza since last November left five Palestinians killed and dozens wounded. Israeli Ambassador to the United Nations, Ron Prosor, filed a complaint to the Security Council against Syria after the Syrian Army opened fire, several days ago, at an Israeli military vehicle in the occupied Golan Heights. Prosor said that targeting the Israeli military vehicle is a “direct violation to the 1974 agreement that ended armed confrontation between Syria and Israel." In an interview with Syrian TV, a Syrian army commander stated that Syrian soldiers targeted an Israeli military vehicle after it crossed the border fence into Syrian territory. The commander added that the Syrian army will not tolerate Israel’s ongoing violations, and will counter any Israeli military offensive against the country. It also stated that the Israeli assaults will not affect the arming of Hezbollah fighters in Lebanon, and that the Syrian retaliation is a message telling Israel that Syria will not stand idle while Tel Aviv continues its assaults, and added that Tel Aviv will not be able to stop the transfer of advanced weapons to Hezbollah. The Israeli Air Force carried out numerous attacks against different targets in Syria, including aerial bombardment of a scientific research facility, Syrian army sites and other areas in the country; destruction and casualties have been reported. The Syrian ambassador to the United Nations has defended the country’s decision to target an Israeli military vehicle in the occupied Golan Heights earlier this week, saying it was a response to violations of Syria’s territorial integrity. In a letter sent to the UN Security Council on Friday, Ambassador Bashar Ja'afari said Syria exercised its right to self-defense and would respond immediately to any other violation of its sovereignty and territorial integrity. He added, "The presence of armed terrorist groups in that village led the Syrian armed forces to target the abovementioned Israeli vehicle." According to the Syrian army, the Israeli military fired two rockets from the occupied site of Tal al-Faras into Syria in retaliation for the destruction of the vehicle. The Israeli regime recently increased its military activities in the Golan Heights, where clashes between the Syrian army and the militant groups continue. The Syrian crisis has dragged on for over two years, and many people, including large numbers of Syrian soldiers and security personnel, have been killed in the foreign-sponsored militancy. On May 18, Assad said militants from 29 different countries are fighting against the government in different parts of the country. The Israeli occupation forces arrested 12 Palestinian youths at dawn Thursday from different parts in the occupied West Bank and occupied Jerusalem, for interrogation. In Ramallah, an Israeli military force stormed the village of Beit Anan and arrested two young men after searching their homes. Clashes erupted in the village following the arrest between groups of Palestinian youths and Israeli soldiers, who fired tear gas and stun grenades towards the citizens. The Israeli forces raided at dawn Thursday the villages of Ya'bad and Zabouna in Jenin, where they arrested five young men after searching their houses, and summoned another to its intelligence office in Salem camp west of Jenin, locals reported. In occupied Jerusalem, the occupation soldiers arrested two 13-year-old boys in the Old City, and took them to the police station of Beit Eliahu in Bab Selsila in the city for questioning them. Another Israeli force on four military jeeps raided the village of Khursa, near Dura city in al-Khalil, and arrested three Palestinian youths, including two brothers, after raiding their homes. Meanwhile, the Israeli army set up checkpoints on crossroads in al-Khalil Governorate, checked the identities of passers-by, and hampered the movement of vehicles. A Palestinian young man was injured on Thursday afternoon by Israeli fire to the east of Jabaliya, in the northern Gaza Strip, medics told PIC's correspondent. The sources said that the citizen, in his twenties, was moderately wounded in his foot, near a cemetery east of Jabaliya and was transferred to the Kamal Adwan hospital to receive treatment. Five people have been killed, while more than 90 others have been wounded in shooting incidents by the Israeli forces, since the entry into force of the truce agreement signed in November last year, between the resistance and the occupation under Egyptian auspices. 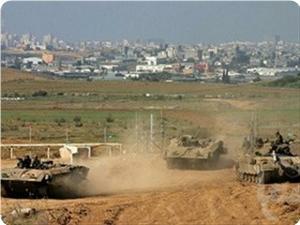 Israeli military vehicles crossed the border line with the Gaza Strip east of Khan Younis, in the southern Gaza Strip, early Thursday. A field observer told Quds Press that several tanks and Israeli bulldozers raided east of Qarara village, northeast of Khan Younis, and bulldozed agricultural lands. 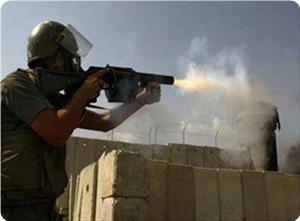 The occupation forces opened heavy fire in the place, forcing the farmers to leave their lands. No injuries were reported, he added. This incursion is to be added to the series of the continued Israeli violations of the truce signed on 21 November 2012, ending an 8-day war, between the Palestinian resistance and the occupation under Egyptian auspices. Since the ceasefire, five Palestinians were killed, while dozens were arrested or injured by the occupation forces fire, in addition to attacks on fishermen and their boats in Gaza sea. 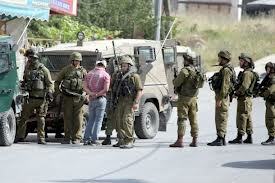 The Israeli occupation forces (IOF) kidnapped at dawn Thursday seven Palestinian young men in different West Bank areas. According to local sources, the IOF stormed Beit Anan village near Ramallah city and kidnapped two young men named Saji Sheikh and Yousuf Jomhur. The invading troops also clashed with some young men during their raid on the village. 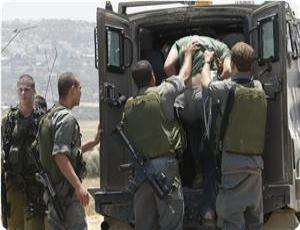 Five other young men were also taken prisoners in Yabad town and Zububa village in Jenin. The IOF also raided the house of another young man named Mofleh Abu Baker and handed his family a summons for interrogation issued against him by the Israeli intelligence agency in Salem military camp in Jenin. In an earlier incident, dozens of Palestinian young men suffered injuries during violent clashes on Wednesday with Israeli soldiers in Beit Ummar town north of Al-Khalil city. Local sources said that the events broke out when Israeli troops aboard their military vehicles stormed the town and raided several homes. The invading troops handed during their campaign summonses from the intelligence ordering some young men to appear for interrogation. An Israeli military commander says Tel Aviv is prepared to carry out an attack on Syria if the government of Syrian President Bashar al-Assad collapses. “We have to be ready for any scenario, at a few hours’ notice,” Eshel stated. 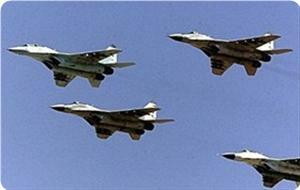 The Tel Aviv regime has already carried out three air strikes on Syria. On May 5, Syria said the Israeli regime had carried out an airstrike targeting a research center in a suburb of Damascus, following heavy losses inflicted upon al-Qaeda-affiliated groups by the Syrian army. 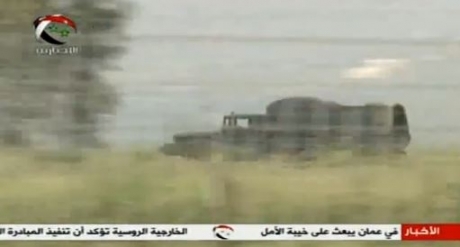 According to Syrian media reports, the strike hit the Jamraya Research Center. The Jamraya facility had been targeted in another Israeli airstrike in January. 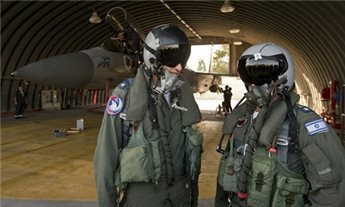 Middle East unrest increases the chance of a surprise attack on Israel, the head of its air force said on Wednesday, but added that he did not see an attack as imminent. 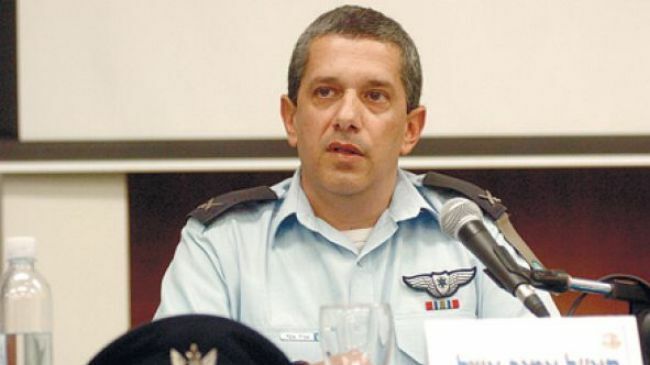 "When you look (around) today I think that a surprise war can be born in very many configurations," Major General Amir Eshel told a conference near Tel Aviv in remarks broadcast on local television and radio. "I don't so much see a surprise war in the near term, but it can be born from isolated incidents which escalate very quickly and oblige us to act across the spectrum," he said, without elaborating. He said that Syria's order from Russia of advanced S-300 air defense weapons was just the latest in a long line of missile purchases. "From the small budget that Assad has, he has spent billions in the past few years to buy the best systems that the Russians can produce -- the SA 22, SA 17, SA 24, the S-300 which is on it's way," he said. Earlier, a defense official sounded a more upbeat note, saying that Israel's ability to deter attack on its positions in the occupied Golan Heights remains undiminished despite an uptick in fire from the Syrian side of the ceasefire line. "The good news is that the continued stability of the Golan Heights (and) the deterrent power of the Israeli army have not been weakened," senior defense adviser Amos Gilad told army radio. "Daily life goes on as usual," he said, in what appeared to be an attempt to calm nerves after two days of fire and counter-fire on Israel's northeast flank. Israeli chief of staff Lieutenant General Benny Gantz issued a personal warning to President Bashar Assad on Tuesday after Syrian troops fired across the armistice line on the Golan, hitting an Israeli military vehicle. The strategic plateau has been tense since the beginning of the conflict in Syria more than two years ago. Israel, which is technically at war with Syria, seized 1,200 square kilometers of the Golan from its Arab neighbor in the 1967 Six-Day War. It annexed the territory in 1981 in a move never recognized by the international community. 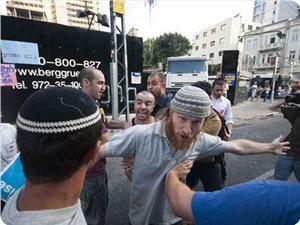 An undercover Israeli unit arrested a man in Jenin on Wednesday, locals said. Shuja Irsan al-Qureini was arrested after a Mercedes with Palestinian plates pulled up beside him in Jenin, witnesses said. The car had stopped in front of laborers heading to a nearby rubbish site, and the driver asked Rabee Jaradat his name before physically assaulting him, witnesses said. "The undercover agents then asked about Shuja Irsan al-Qureini, and after they checked his identity, they pushed him into their vehicle and took him to an unknown direction," locals said. After the car left, Jaradat was evacuated to a hospital in Jenin, where he was transferred to the intensive care unit. Israeli troops have shot and critically injured a Palestinian boy in the chest in the occupied West Bank, according to Palestinian security and hospital sources. The troopers of the Israeli regime shot 12-year-old Atta Mohammed Sharadeh on Tuesday outside the Jelazoun refugee camp, near Ramallah, AFP reported. Palestinian paramedics said Sharadeh was hit in the chest and the bullet exited through his back. The boy was transported to a Ramallah hospital, where he is in critical condition. The Jelazoun refugee camp is close to the so-called Beit El Israeli settlement. 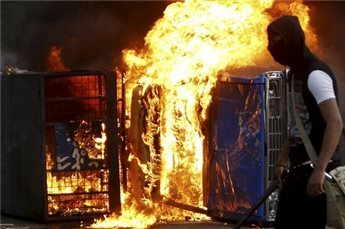 Earlier in the day, clashes had broken out between Palestinians and Israeli troops, The clashes erupted shortly after the occupying Israeli forces stormed the refugee camp. 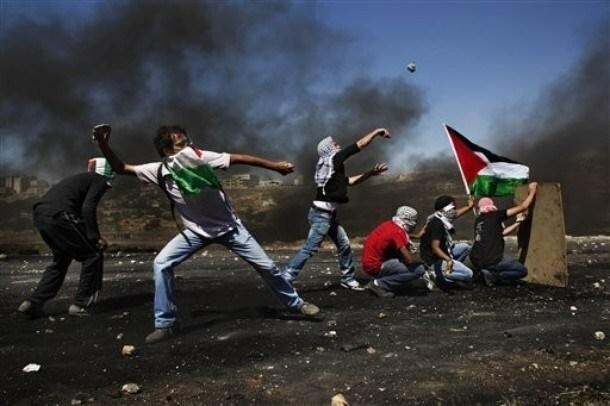 Palestinian youths - angry over the presence of Israeli soldiers at the camp site - hurled stones and bottles at the Israeli troops, who fired live bullets in return. Palestinian youth and children have been among the most vulnerable victims of the Israeli soldiers' brutality in the occupied West Bank and the Gaza Strip. The UN and most countries regard the Israeli settlements as illegal because the territories were occupied by Israel in a war in 1967 and are hence subject to the Geneva Conventions, which forbids construction on occupied lands. Palestinian medical sources reported that a child was shot and injured by Israeli military fire in the Al-Jalazoun refugee camp, north of the central West Bank city of Ramallah. The child has been identified as Ata Mohammad Sabah, 13; he was shot by a live round to the back, and was moved to the Palestine Medical Center in the city. Local sources reported that Israeli soldiers attacked dozens of schoolchildren in the camp, and chased Sabah and some of his friends before firing several rounds of live ammunition at them. An Israeli Knesset security cabinet is scheduled Wednesday to address possible changes to the regulations governing Israeli soldiers operating in the occupied West Bank. According to the Israeli daily Maariv, three reserve commanders -- Amram Mitzna, Danny Yatom and Uzi Dayan -- have warned that Israel should immediately address the dangerous situation described by soldiers and field commanders in a newspaper investigation last week. Israeli soldiers and field commanders told Maariv they felt handcuffed and helpless toward Palestinian demonstrations because of regulations restricting their possible response. Consequently, the security committee of the Knesset is to study the possibility of giving soldiers more leeway when they deal with demonstrators in the West Bank. The chief of Israeli forces' central command will attend the session along with heads of West Bank settlement councils and chief security officers. Then, according to Maariv, the security committee will hold a closed-door meeting to be attended by the Israeli minister of defense, Moshe Yaalon. The participants will address possible means to "restore Israeli forces' deterrence and dignity in the West Bank." Since January 2009, Israeli forces have killed 55 Palestinians in the occupied West Bank, according to B'Tselem, while Israeli settlers have killed five. In January, Salih al-Amarin, 15, from Azza refugee camp, was shot in the head and killed during a protest, and a week earlier, 17-year-old Samir Ahmad Abdul-Rahim was shot four times and killed by Israeli soldiers in Budrus, near Ramallah. In April, Amer Nassar, 17, was killed instantly when Israeli soldiers shot him during clashes in Tulkarem. Naji al-Balbisi, 18, was also shot and killed by Israeli soldiers during the clashes. Israeli forces raided a vocational training center in the Bethlehem-area town of Beit Jala on Wednesday, witnesses said. 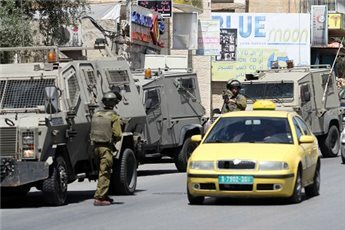 Military vehicles entered a northern area of Beit Jala and soldiers raided the center, which offers training courses to young people in handicrafts, IT and other vocational skills. 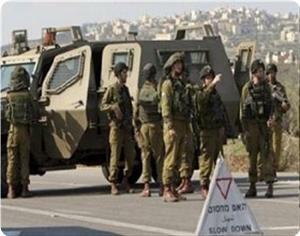 Soldiers confiscated the identity cards of employees at the center and erected a temporary checkpoint in the area. The purpose of the raid was not immediately clear. 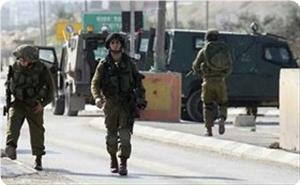 Israeli forces raided Beit Ummar at dawn on Wednesday, locals said. Israeli soldiers ransacked the home of Khaled and Nasser Ekhlayel accompanied by dogs and handed a summons order to the son of Muhammad Ekhlayel, locals said. 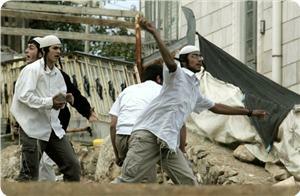 Local youths threw rocks at Israeli military vehicles, with no detentions reported. 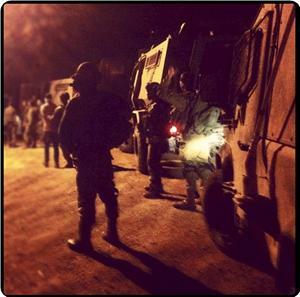 Israeli forces arrested six people overnight Monday in the West Bank, locals and Israel's army said. Israeli military vehicles raided Balata refugee camp in Nablus and detained Khaled al-Asi, 21, Khalil al-Asi, 17, and brothers Abdul Fattah, 20, and Adham Abu Eisheh, 19, locals said. In Tulkarem, Hamza Haloub, 17, was detained after Israeli troops raided his home, relatives said. 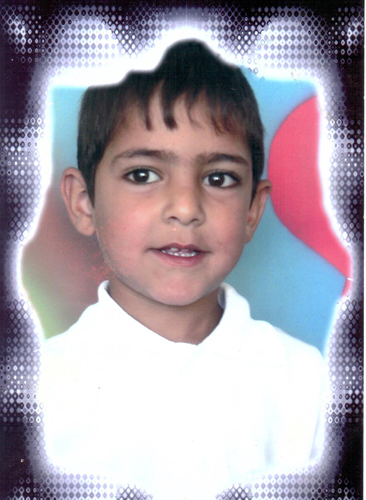 Haloub was seriously wounded during the raid, his mother told Ma'an. An Israeli army spokeswoman said that six people were detained for security questioning overnight, four in Balata and two in Tulkarem. Israeli soldiers patrolling the disputed Golan Heights along the border with Syria fired back after coming under fire overnight, an Israeli Defense Forces statement said Tuesday. "Overnight, shots were fired at an IDF patrol on the border in the central Golan Heights, damaging a military vehicle," said a statement on the army's website. No one had been wounded, it added. 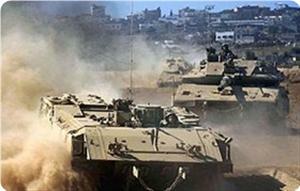 "In response, IDF forces returned precise fire at the source of the gunfire. They reported a direct hit," the statement added. "The IDF views the recent incidents in the north with concern and has lodged a complaint with UNDOF," the UN Disengagement Force responsible for patrolling that area. Early on Monday, the army reported that small-arms fire from Syria hit the Israeli-occupied Golan Heights overnight, causing no harm or damage. The army also filed a complaint with the UN force on that occasion. The Golan Heights have been tense since the beginning of the conflict in Syria more than two years ago. However, there have been only minor flare-ups in the region to date, with Syrian shells crashing in the occupied Golan and Israel firing in retaliation. In recent weeks there were four incidents of fire coming from Syria and straying across the ceasefire line. Last week projectiles from Syria hit Mount Hermon, causing the popular site on the Israeli-occupied Golan to close down to visitors. Israel, which is technically at war with Syria, seized 1,200 square kilometers of the strategic Golan Heights during the 1967 Six-Day War, which it later annexed, a move never recognised by the international community. Clashes broke out in Hebron late Monday after Israeli forces physically searched a Palestinian woman near Shuhada street, locals said. Sundus al-Azza, 19, had passed through metal detectors at an Israeli checkpoint but was called back to be patted down by Israeli soldiers, locals said. Al-Azza demanded that a female soldier carry out the search, as is normal protocol, but the soldiers insisted on doing it themselves. The woman then shouted for help and locals in the area immediately rushed to her assistance. Issa Amr, Ahmad Amr and Imad al-Atrash were detained while trying to prevent the male Israeli soldiers searching al-Azza, witnesses said. "Young men from the neighborhood attempted to stop the soldiers who were harassing the girl, a fistfight broke out between both sides before several residents took to the street in protest," local resident Mufeed Sharabati told Ma'an. As news of the incident spread, dozens of men flooded the area and hurled stones and empty bottles at Israeli soldiers, who responded with tear gas and rubber-coated steel bullets. 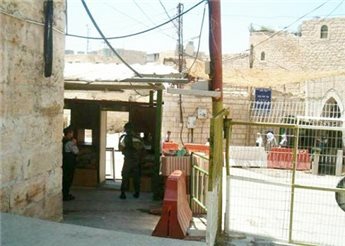 The governor of Hebron, Kamil Hmeid, arrived at the scene with officials from the Palestinian Liaison office to investigate the situation. 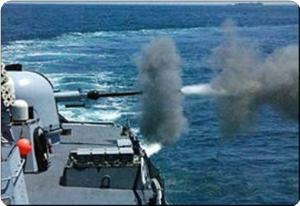 Israeli occupation gunboats on Monday morning opened fire at Palestinian fishing boats in the sea of Gaza and at Palestinian homes near the shore to the west of Gaza City. No human casualties were reported, but light material damage to the fishing boats resulted from the occupation navy assault. Occupation gunboats firing at Palestinian fishing boats is a regular occurrence in the Gaza sea in violation of the truce agreement between the Palestinian resistance and the Israeli occupation which was reached with Egyptian mediation last November. 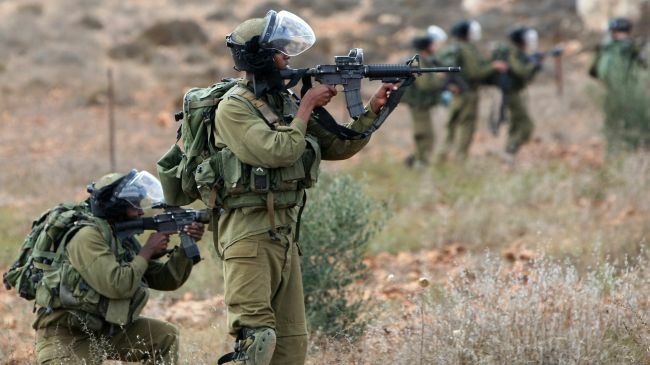 Hebrew media sources revealed that Israeli army has renewed using banned weapons during the suppression of peaceful Palestinian demonstrations in the occupied West Bank. Israeli army used snipers to stop a Palestinian protest near Beit El settlement in the West Bank town of Ramallah last week, Maariv Hebrew newspaper stated on Sunday. 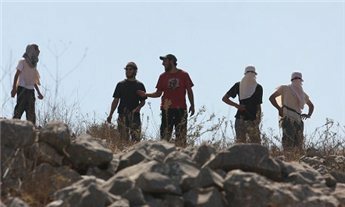 The newspaper said that the Israeli soldiers followed their leaders' commands to open fire, using “Tutu” bullets, claiming the protestors were approaching the settlement. It is worth mentioning that number of Israeli MKs have called for allowing Israeli soldiers to open fire towards Palestinian protesters in the West Bank especially after seeing Israeli soldiers fleeing during clashes with Palestinian youths due to their leaders' restrictions imposed on them, they claimed. Tutu bullets are classified by Israeli army as non-lethal weapon. However many Palestinians were killed due to being shot by Tutu bullets. The Israeli general prosecutor has issued decisions over the past years to prevent the use of these bullets. Israeli army had previously used snipers to stop protesters during the first and second Palestinian uprisings, killing and injuring many Palestinians. Clashes broke out on Saturday evening between Palestinian youth and Israeli occupation forces in Nablus Road in the occupied city of Jerusalem. The IOF arrested two young men and a photographer working for Wadi Helwa information center was wounded with shrapnel from a stun grenade. Wadi Helwa information center said that the clashes broke out after a demonstration that started at Bab al-Amoud towards the Nablus Road, where the demonstrators were surrounded by IOF troops who prevented them from marching further. The protesters used waste containers to block the road. 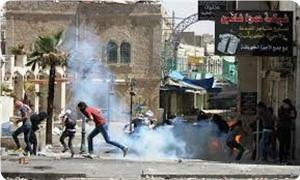 IOF troops using stun grenades and water cannons, as well as horse mounted police dispersed the protesters. Following that, dozens of young men held a sit in on the stairs leading to Bab al-Amoud in support of the Aqsa Mosque. Then they marched towards al-Aqsa Mosque through Wad Street in the old city, but they were met with IOF troops who arrested three of the youth. 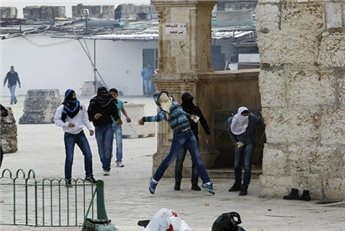 Local sources, said the young men managed to continue their march to the Mosque and entered it through the Majlis gate. Friday, May 17, 2013; Palestinian medical sources reported that 17 Palestinians have been injured by rubber-coated metal bullets and gas bombs fired by Israeli soldiers invading the Al-Arroub refugee camp, north of the southern West Bank city of Hebron. The sources said that several residents fainted after inhaling gas fired by the army, while one resident, identified as Luay Al-Badawi, 23, was shot by a rubber-coated bullet in his upper jaw, and another bullet in his chest. He was moved to the Al-Ahli hospital in the city; his medical condition was described as moderate but stable. In related news, soldiers invaded, on Friday evening, Jaba’ village, near the northern West Bank city of Jenin, and broke into the home of Moath Alawna, on his wedding eve, and searched the property causing extensive property damage. Furthermore, the army invaded Sanour village, near Jenin, broke into and searched several homes and interrogated the residents. 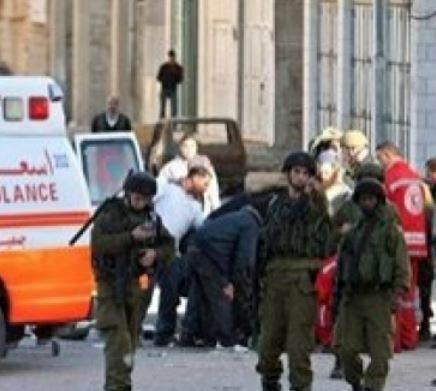 About 30 Palestinians were injured on Friday afternoon during violent clashes with the Israeli occupation forces (IOF) in Al-Aroub refugee camp and Beit Ummar town in Al-Khalil city. Coordinator of Beit Ummar popular committee Mohamed Awad said that 14 Palestinian young men sustained injuries when the IOF attacked an event held in Beit Ummar in solidarity with prisoner Ahmed Awad. One of the young men suffered a serious injury in his left hand and the others suffered rubber bullet injuries. 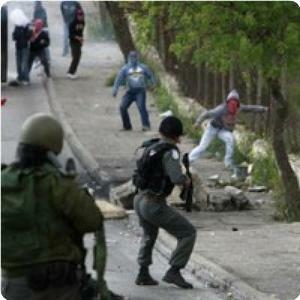 The IOF also kidnapped a 15-year old boy named Quteiba Sabarneh during the clashes. In Al-Aroub refugee camp, another young man named Luay Al-Badawi suffered serious injuries in his head and face, and 16 others had different wounds.